1How To Develop Your Ki Power? 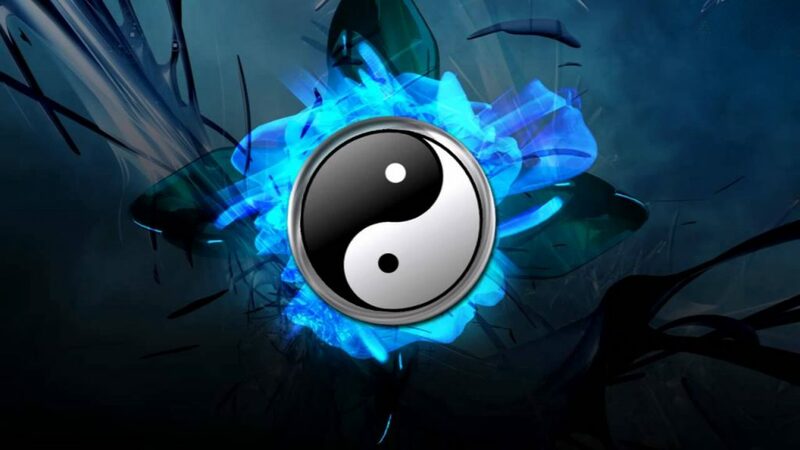 There are many different ways that you can use ki energy in the martial and healing arts. These range from the practical physical aspects used to control an aggressor, all the way through to the esoteric healing arts. Ki is the lifeforce and energy of the universe that flows through everything. It is also known as chi, prana, vitality, magnetism, etc. It cannot be seen, but can certainly be felt and experienced. It can be used in many traditional ways to improve your life… acupressure, acupuncture, kiatsu, reiki, aikido, chi kung, tai chi, etc. How To Develop Your Ki Power? Air contains the energy and life-force of the universe, which you receive through your lungs to every cell of your body. Most people ordinarily breathe 15-20 times a minute, using only one-sixth of their lung capacity. You can learn how to breathe more slowly, five or six deep, calm breaths a minute, will boost your ki energy. Your concentration should be on your exhalation, which should be longer than your inhalation. Breathing in is taking in supplies and breathing out spreads them throughout the body. It is important to concentrate on breathing out, on spreading and distributing, as breathing in and stocking up energy happens unconsciously and automatically. Must-See: Qi Gong Master Demonstrates “Chi” In RARE Footage – THIS Is The SHOCKING Power We ALL Posses! With practice, this type of breathing can be a regular, basic habit, even while you sleep. The ki of the universe is then changed into powerful human energy, that you can use to heal your body or defend yourself. The Japanese martial arts use this method of breathing out and attacking their aggressor while they are breathing in, as they are at their most vulnerable on the inhalation. You will develop ki in your Aiki arts when your method of breathing is correct. 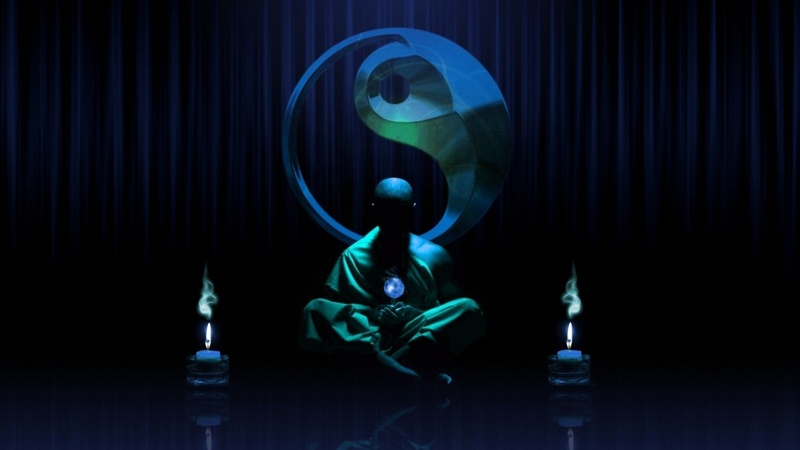 Energy, strength, and consciousness must always be relaxed and in harmony, without tension, for your ki to be strong. The best way to develop your Ki power is through a combination of sitting still in Zen meditation and training yourself for combat, by action through practice. 1 – Stability of your center of gravity while sitting or standing. 2 – Concentration of consciousness using the discipline of your mind. 3 – Correct breathing in harmony with your mind, body, and spirit. The art of Aikido also involves using your powerful ki energy to control your opponent, attacker or aggressor by… interrupting their breathing, rhythm, and timing, unbalancing them, distracting their attention, and neutralizing their fighting spirit. When all of these conditions are met, you will be able to surround your opponent with an overwhelming force of your ki power. This gives you the ability to lead their mind and avoid a clash of energy. In Budo, the three essentials are… technique (wasa), energy activity (ki), and mind/spirit (shin). Using the art of Zazen, through your posture, you can bring your mind and breathing together in balance and harmony. In Zazen, as in Budo and the Martial Arts, many difficulties arise at the beginning of training. But later the correct posture, attitude of mind, and breathing fall into balance easily. At first, you must consciously work at it, but after some focused practice, you’ll be able to concentrate unconsciously. 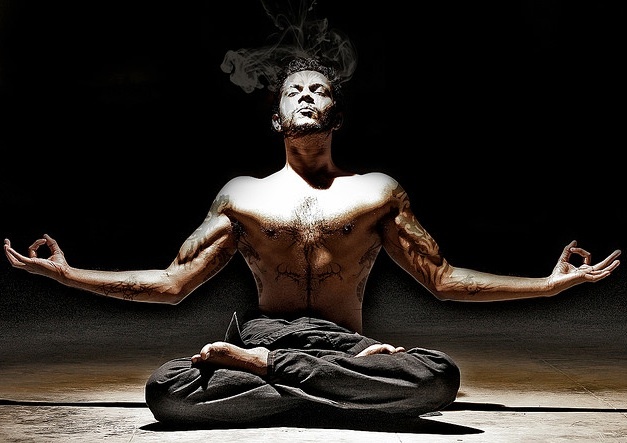 Concentration on the act of breathing out creates a balance between consciousness and posture. It causes a balancing of the energy of muscles, nerves, and the hypothalamus and thalamus glands. If you practice regularly, you can know the secrets of budo unconsciously, naturally and automatically. The aim is to develop a motionless body, mind, and spirit. When you have developed this ability you become powerful, strong and full of positive ki. If you do not dwell on your thoughts but just let them go by, the substance of your mind is motionless. Straight back, straight neck, hands joined together, thumbs forming a horizontal line, and by breathing correctly with an emphasis on breathing out deeply into the Hara (just below the navel), your center of gravity. Zanshin is a mind that remains still without being attached to anything, watchful, alert, but unattached. The correct attitude is very important as it merges your spirit with what you do. Train hard, but train smart, to fast track your Aikido skills!